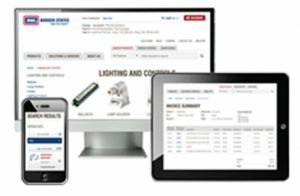 Looking for ways to gain more efficiency, savings, and profit from your material handling processes? 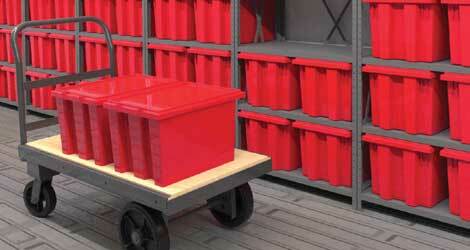 Akro-Mils’ broad range of storage, organization and transport products can help. 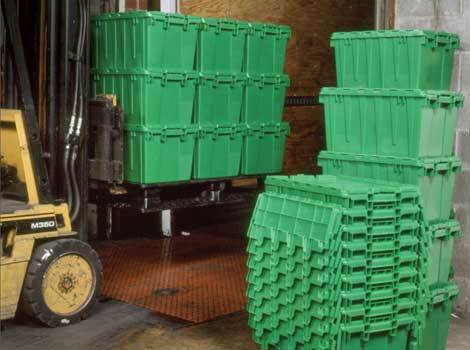 RPCs – typically plastic containers such as totes, trays, boxes, sleeves and bulk containers – are rapidly replacing paper corrugated cartons in a variety of manufacturing and distribution markets. More than 70% of Fortune 500 companies now have sustainability mandates, many of which include the use of returnable packaging! Multiple reuses of RPCs result in lower environmental burdens than single-trip corrugated containers. They are recyclable at the end of service life – providing an “eco-friendly” alternative to corrugated products and increasing your organization’s sustainability efforts. And Akro-Mils follows the voluntary material stamp guidelines to aid in quality and sustainability! Boost Efficiency, Productivity & Quality! RPCs improve transportation efficiency through standardized loads, resulting in fewer trips and reduced fuel costs. In the warehouse setting, they also reduce inventory – requiring less space and oversight. RPCs can be traceable and trackable. They can feature label holders, label placards for easy removal of temporary adhesive labels, and the ability to use electronic tagging (RFID) devices. Manufacturers dealing with paper cartons and packaging cluttering the shop floor, find cleaner, tidier and safer environments when plastic containers are introduced. The result is a better-ordered production and warehouse area, with improved inventory control, better production flow and more efficient processes. Protect Your Workers & Parts! In addition to improved safety conditions for workers, RPCs offer better protection of container contents. The rigidity of plastic containers helps to protect goods in transit against costly damage, and they are resistant to moisture and other contamination. They also provide secure stacking in transit or storage. As the industry leader, we strive to continually provide our customers with innovative, quality products; unsurpassed customer service; and the fastest, most reliable shipping in the industry!